Listener Kyle joins us to recount his families 11 day cruise to Northern Europe aboard the Disney Magic. In addition to sailing on the Magic, they incorporated an Adventures by Disney add on, to handle all of their port adventures throughout the cruise. Adventures by Disney also had some fun lined up for Kyle and his family during their days at sea. 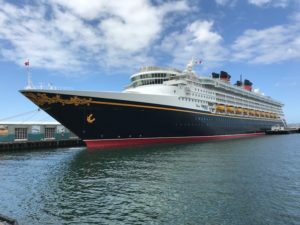 So join Christy and I, as we learn all about sailing with Adventures by Disney, onboard the Disney Magic this past Summer.